Words are not enough to express the unconditional love that exists between a mother and her daughter. This bond is one of the strongest and most complex bonds in the world which only the two of them can understand. It’s remarkable how this bond changes and evolves over time to only become unbreakable. When the mother sees the daughter for the first time all dressed up, ready to tie the knot and she’s just awestruck. In midst of all the hustle-bustle of a mehendi ceremony, this mother-daughter duo has found some quiet time to chill just by themselves. Pre-wedding ceremonies are always fun and here’s a mum making sure her little daughter is having the time of her life, at her haldi ceremony. ...and a mum making sure everything is alright with her little one! 4. All smiles in the bridal suite. When the mother-of-the bride gives some last minute advice to her little girl before she takes the wedding vows. We love how the mother plants a kiss on her daughter's cheek, bringing the brightest smile on her face. This is a beautiful picture of a mother blessing her child all the happiness in the world, while she also means - I’ll always be there for you and I’ll let nothing harm you. It’s only natural of a mother to be skeptical if her little princess will be able to take care of herself in her new house and here’s a daughter reassuring her mom - she’ll be alright! A girl dreams about her wedding day from her childhood, but a mother plans for her daughter’s wedding from the time she gives birth to her. 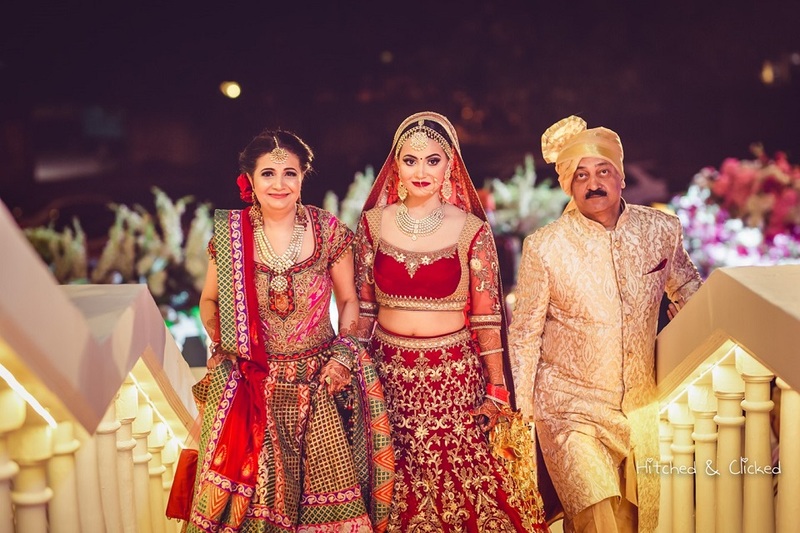 The only thing is, when the time comes for the daughter to actually take her daughter to the mandap the planning becomes very real and the mother goes through a lot of mixed feelings. That raw emotion is captured very beautifully here. What better than having the 3 generations of powerhouse - you, your mum and your grandma, in your wedding album. We hope you have mentally marked the pictures you want to have in your wedding album. So, go ahead and talk to your photographer about your must-have clicks with your mommy, because they'll be your fondest memories for a lifetime!